Full Choke opened to Improved Modified. Model 21 #6,515 is a made for stock 16 gauge Field gun that was removed from inventory to fill a special order. 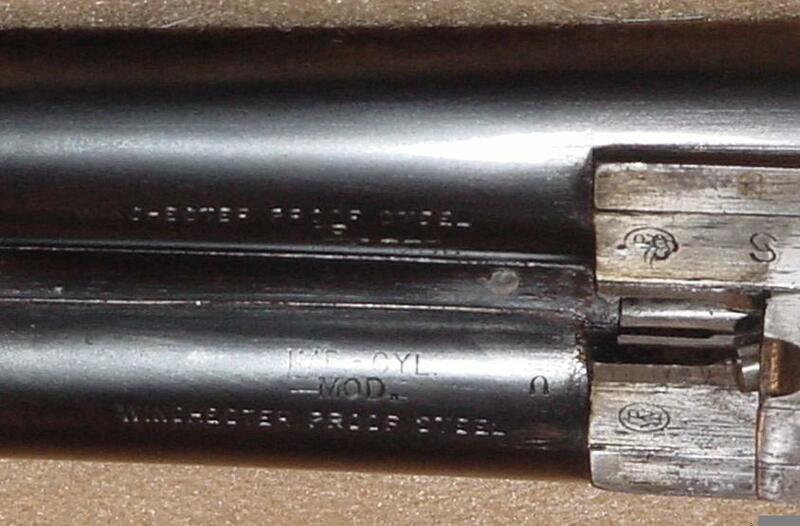 Notice how the original choke markings were marked out with two lines in both examples. 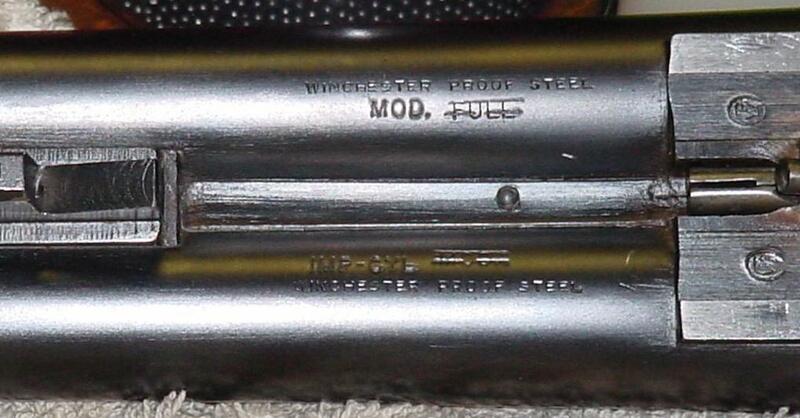 The new markings on gun #6,515 were not placed as Mr. Ulrich stated in his article in the Double Gun Journal1 . 1Edward E. Ulrich, "Winchester Model 21s ~ A Good Investment~", Double Gun Journal, XII Issue 1 (Spring 2001), 51.